“You mind if I play some music?” mountain guide Huang Bo (34) asks. 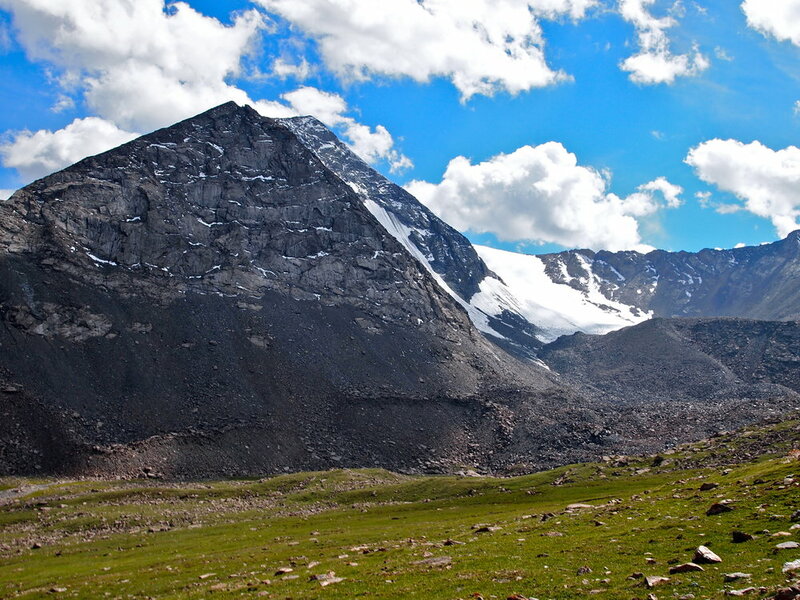 We’re standing at the foot of Tianshan Number 1 Glacier, high in the mountains southwest of Urumqi. After a three hour car drive and a thirty minute hike on foot, we’re far removed from anything and anyone. 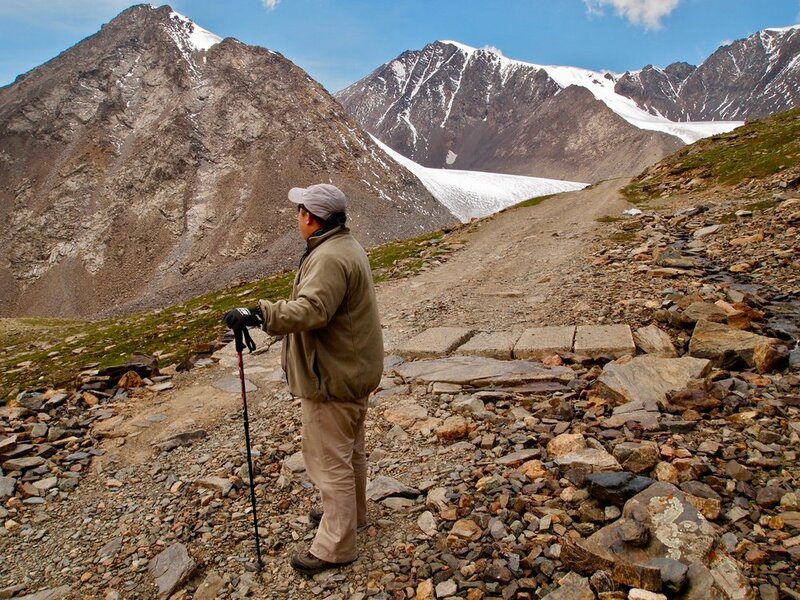 “This area used to be covered in ice and snow all year round,” says Huang, pointing downhill. Now, in the heart of summer, you have to climb to 3,500 meters to reach the lowest reaches of the Tianshan Number 1 Glacier. Urumqi, capital of the Xinjiang Uyghur autonomous region of China, is further removed from the sea than any other city on earth. From that perspective, you wouldn’t expect its four million residents to be thinking too often about rising sea levels. But the cause of this rise, the warming climate, threatens them as well. 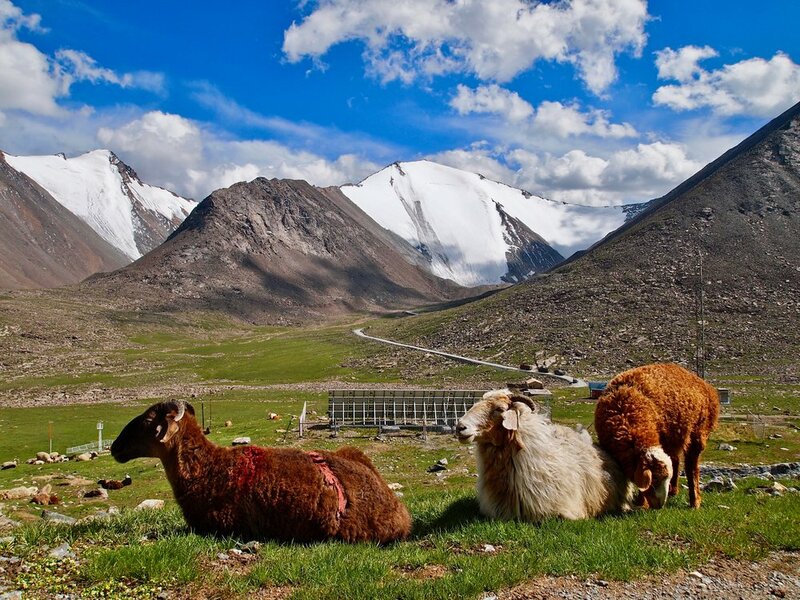 The average temperature in Xinjiang is rising faster than anywhere else on the planet. This causes the glaciers, the only source of water for the region, to disappear at much quicker rate than previously calculated. That future is a dark one. The melting rate of the Number One glacier has been speeding up each summer since 1977. The rain and snow fall and the below zero temperatures of winter are no longer adequate for the glacier to grow back what it loses during summer meltdowns. It is inevitable the glacier will disappear in its entirety within a hundred years, Li and his team have calculated. That means millions of Chinese stand to lose their primary source of fresh water. What’s more: the glaciers in the mountains of western China are the source for some of the world’s longest rivers, including the Yangtze, the Mekong and the Yellow River. Close to two billion people rely on these rivers as their water supply. In Urumqi, a hundred and fifty kilometers downhill from the Tianshan Number 1 Glacier, the looming water shortage seems to be on no one’s mind. After all: the melting glaciers has caused more water than ever before to flow through the river that comes down from the mountains into the city. In addition, there’s been more and more rainfall over the past few years. This makes it difficult for the people of Urumqi to imagine, let alone worry about, a structural water shortage which will hit their city only a few decades from today. Even though the local government has begun building reservoirs to capture the water from the glaciers, the short term focus seems to be on profiting in other ways from the extra water that’s coming down. Construction projects worth billions are planned the to stimulate the economy in this desolate region, which has also seen unrest and repression stemming from ethnic tensions between the Uyghur population and Han Chinese. Six kilometers from downtown Urumqi, the Snow Lotus Golf Club has been constructed. To keep the grass in the desert land green, the amount of water equivalent to the contents of seven Olympic sized swimming pools is used daily. Not too far away from the golf terrain lies the Silk Route Ski Resort. Its manager is proud to say that during the peak season, last February, they were able to offer beautiful artificial snow on the slopes. It did take ten snow blowers using enough water to fill sixteen Olympic sized swimming pools. South of Urumqi, the government is planning a 'high-tech desert metropolis' which has to fill up the space between the regional capital and its suburbs. The city proper wants to transform itself into an 'ecological park city' with green, lots of green that will need lots of water. Professor Li stares through a window in his research center at the foot of the mountains. He can see the river which transports the melted water from the glacier to the city.